Hello! Due to the snowy/icy conditions, RakasaFit class on Sunday will be canceled. Please stay posted for update on Monday class. Stay safe and warm everyone!! Monday class is still on Registrants, as long as you’re not snowed in, come on out but please drive safe. Excited to shimmy tonight! Also, Registration is now open for my Belly Dance Technique classes offered in Bremerton (Kitsap county) and Gig Harbor (Pierce county). Continuous 8 week sessions of dance instruction and fun!! 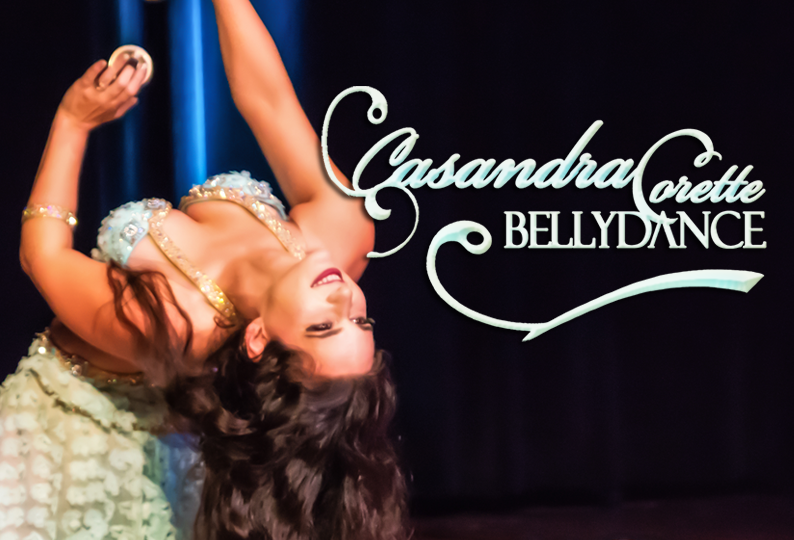 For all the info visit my classes page: http://casandracorette.com/classes/ Have a marvelous January!!! Happy Autumn!! 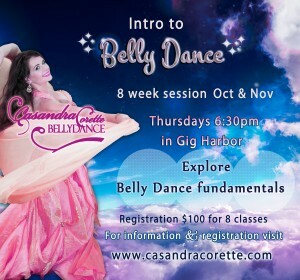 Excited this month to announce registration for a new Intro to Belly Dance class 8 week session Oct/Nov. Online Registration open now until day of 1st class Oct 4th. No class on Thanksgiving Day. This class is perfect for beginners! 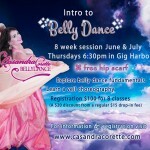 Sign up today, can’t wait to explore belly dance with you!! 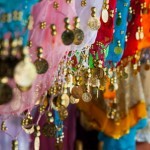 Intro to Belly Dance Soon!